Description: NEW just Beautiful!!! 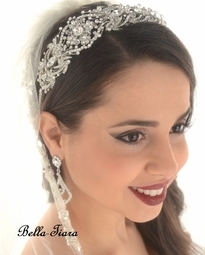 vintage inspired design with bold Swarovski crystal side accented headband. approx. 1 1 /2" wide with two hoops on each end.